Here’s a little podcast I made a few years ago about the benefits of biking to work. I used to live in Hampton, in Greater London, and when our offices moved from Slough to Richmond-upon-Thames, I took the opportunity to get myself a bike and started to cycle to work. I know a lot more about bikes than I did back then, and I would not have bought something so heavy, but at the end of the day I used to quite enjoy my rides in. We had a very secure lock-up which was only for cyclists, and we also had showers too which for me was always necessary after riding in. The reason I made this video, which was from when I was living in Leeds and also cycling in to work, was that there was a Green Week on Sky News. They had asked people to make little podcasts, and so I made this and sent it in. Amazingly it was actually shown on Sky News which was great. Very chuffed. It’s just a simple video stating a few simple things, such as biking gets you fit, can be cheap, and is sometimes the fastest way to get to work. Nothing complicated there, nothing preachy, just me saying I think it’s great, and so why not give it a try. Contrast this to the Government’s latest video, which you have to really work hard on to try and not believe that it is not actually a spoof. 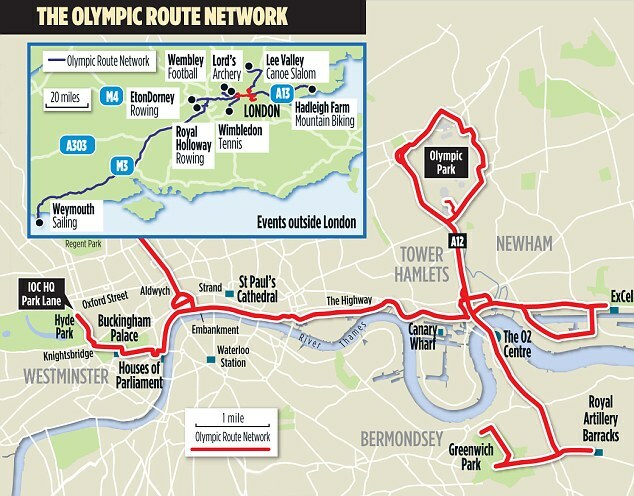 It is real, and it has been made to try and help Londoners cope with the horrendous congestion which is now predicted for the Olympic Games. Apparently getting up a lot earlier in the morning is now called “remoding”. Basically this video has been made by some highly iumplausible characters whose idea of remoding will be to use the VIP lanes – private lanes set up on some of Central London’s busiest roads, for the exclusive list of VIPs during the games, courtesy of a massive fleet of BMWs. Not even ambulances will be allowed into these lanes. Other MPs who will not be attending the games will not be in Parliament anyway, which will be in recess. It is always highly suspicious when you see an MP on a bike. You just know that they got on it a few hundred metres away, and that in no way would they cycle from their homes. But yes, you know you are in trouble when MPs start to talk about “remoding”. What a terrible word. London is suffering from terrible pollution, and even London’s mayor, Boris Johnson, himself a genuine cyclist, is using all sorts of underhand tricks to hide the true state of the toxic air, such as gluing it to the roads near to where the air pollution sampling stations are. We really do need more people to be on their bikes, not just during the games but all the time. Cycling is amazing, I love it, and so why not actually give it a go some time. You do not have to cycle every day, and you could always begin by starting to cycle a bit for fun at weekends or in your free time. But don’t listen to these comedians. Remoding? I think not!